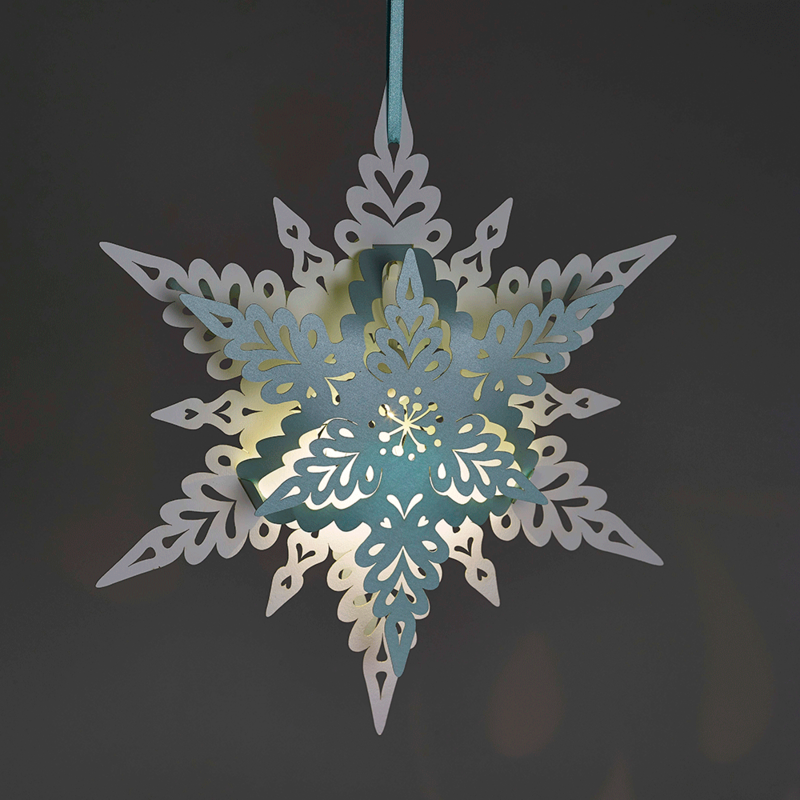 From the Snow Queen range of our Sussex laser cut Christmas decorations this stunning Art Deco inspired snowflake lantern measures 36cm wide, 32cm high and 6cm deep. Each snowflake lantern includes a warm white LED Buttonlite for illumination. Buttonlites last 36-48 hours and can be switched on and off as required each day throughout the Christmas period and can be bought separately for years to come. Hang your winter Deco snowflake lanterns in a bay window, over a brick hearth in a country farmhouse or over your Christmas dinner tables. Deco snowflakes can be used to decorate any Christmas home, corporate event or winter wedding. 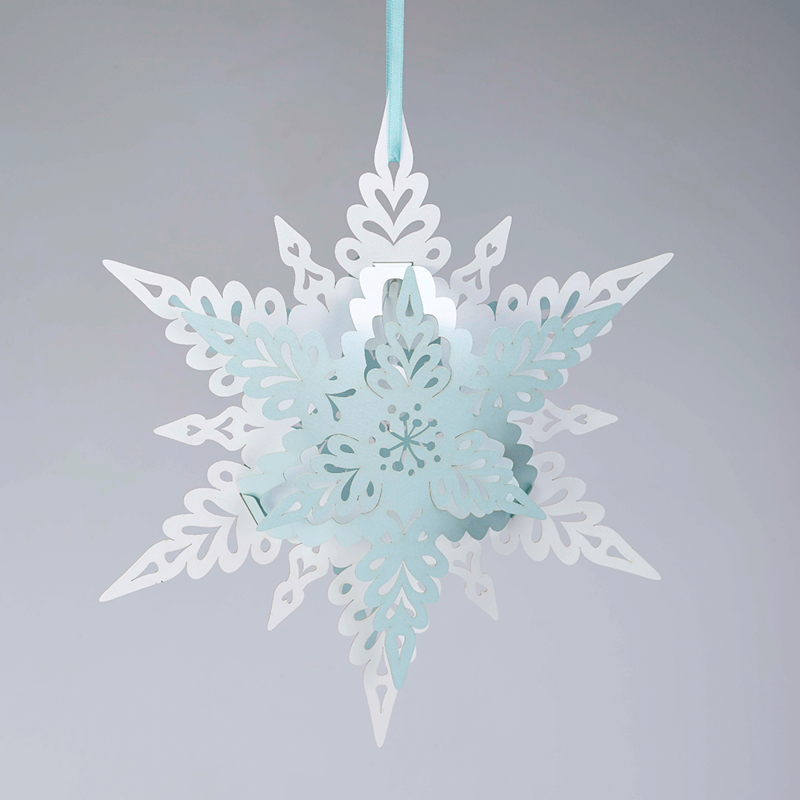 You could even use our white and blue snowflake lanterns in a baby boys nursery throughout the year! Soften the look by using some of our navy blue and baby blue round paper lanterns too.